July 7th, 2015. In this week's live stream, TV personality Doctor O celebrated the ongoing Tanabata festival by hanging Vanguard-themed wishes from a small tree in Bushiroad's studio, as well as several of the Vangarou-kun card sleeves. 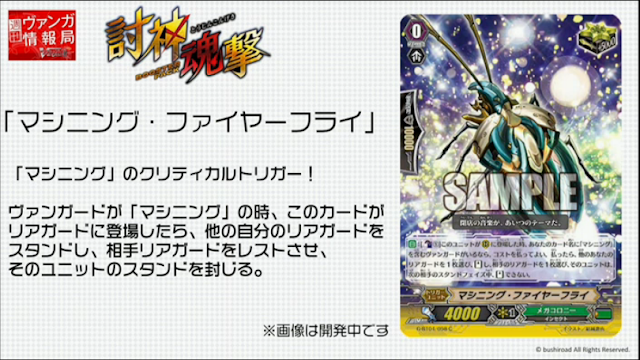 In the course of the broadcast Doctor O previewed several cards from G-Title Booster 01: Touken Ranbu -ONLINE-, as well as a line of Touken Ranbu TCG merchandise created for the set, while also showing off Megacolony, Royal Paladin, and Angel Feather cards from G-BT04: Soul Strike Against the Supreme. The translated text of each card is given below. 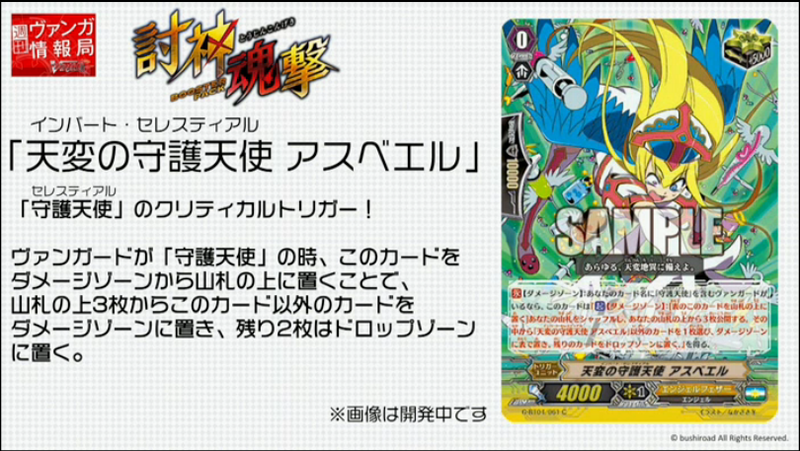 AUTO (Rearguard circle): At the end of your turn, if you have a "Jewel Knight" vanguard, and if the number of other rearguards with "Jewel Knight" in their card names is three or more, draw a card, put this unit on the top of your deck, and shuffle that deck. 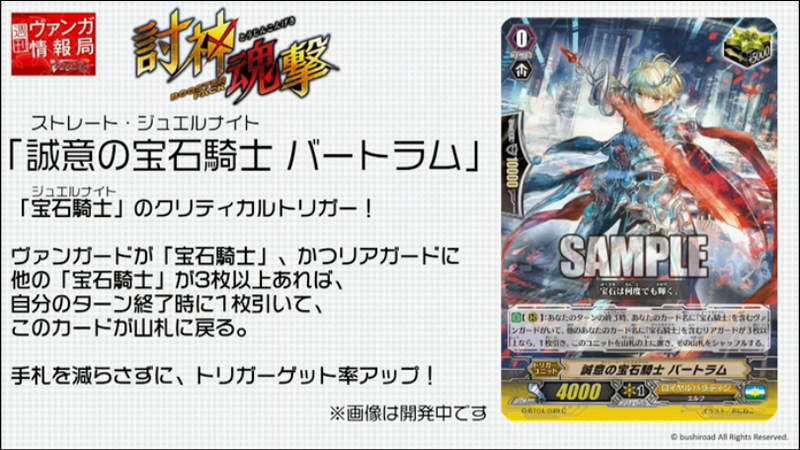 AUTO: [Counterblast 1] When this unit is placed on a rearguard circle, if you have a vanguard with "Machining" in its card name, you may pay the cost. If you do, choose another of your rearguards, stand it, choose one of your opponent's rearguards, during your opponent's next stand phase, that unit cannot stand. CONT (Damage zone) If you have a vanguard with "Celestial" in its card name, this unit gets "ACT (Damage zone): [Put this face-up card on top of your deck] Shuffle your deck, look at 3 cards from the top of your deck, choose 1 card other than "Invert Celestial, Asbeel," put it into your damage zone face-up, and put the remaining cards into your drop zone."